Membership dollars support vital operations and Friends of Tryon Creek’s mission. Friends of Tryon Creek Members donate each year – either one time per year or through multiple gifts. Please see membership levels and their corresponding amounts below to decide what works best for you. Trillium Times Newsletter mailed to your home, offering a complete guide to upcoming classes, events and activities. 10% discount at the Nature Store featuring educational resources, gifts and guides. Early bird entry into the annual Trillium Festival in April. 10% off your purchase at Boskey Dell Native Nursery in West Linn, OR. Make your gift even more valuable by consulting with your employer about matching your charitable donation to Friends of Tryon Creek. Some companies will match you dollar for dollar and some will even double or triple the amount of your donation - at no cost to you! We often receive bequests from people whom we have never had the opportunity to thank. If you include Friends of Tryon Creek in your estate plans, please let us know. We value the opportunity to express our gratitude and to let you know that your gift is greatly appreciated now and for future generations of forest explorers and wildlife. 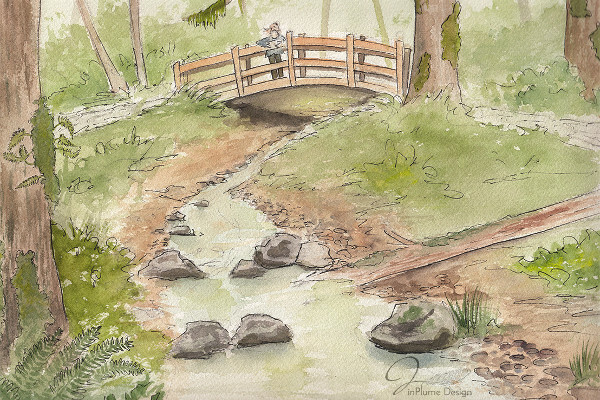 Please consider making a planned gift to Friends of Tryon Creek, like Bruce and Linda. Read their stories below. If you have questions about making a planned gift feel free to contact our Development Director or Executive Director at (503) 636-4398. What is the minimum donation to receive a discount on day camps and other family programs? The Family Membership Level or above is required to receive these family benefits. What is a Park Perennial? Park Perennials give monthly gifts of any amount deducted from a checking account or credit card and are a great way to sustain cash flow for the Friends and keep your membership current without any hassle. What is the membership card for? Present your membership card to receive several of your benefits including 10% off items in our Nature Store, or at Boskey Dell Native Nursery. Can I gift a membership to someone other than myself? Of course! A gift of membership is a great way to inspire and nurture relationships to nature in our unique urban forest. Treat yourself or someone you care about to a gift of health, connection to peace and quiet or invite someone special in your life to enjoy the benefits of being a Friend of Tryon Creek. What is Friends of Tryon Creek Employer Identification Number (EIN), also known as the Federal Tax ID Number?